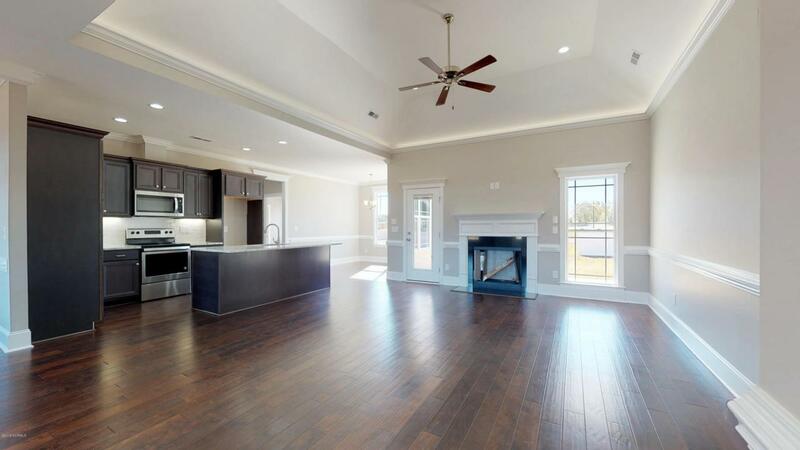 This lovely new home in Bel-Mar Place has a split floor plan with beautiful engineered hardwood floors in all living spaces, carpet in bedrooms and ceramic tile in baths. 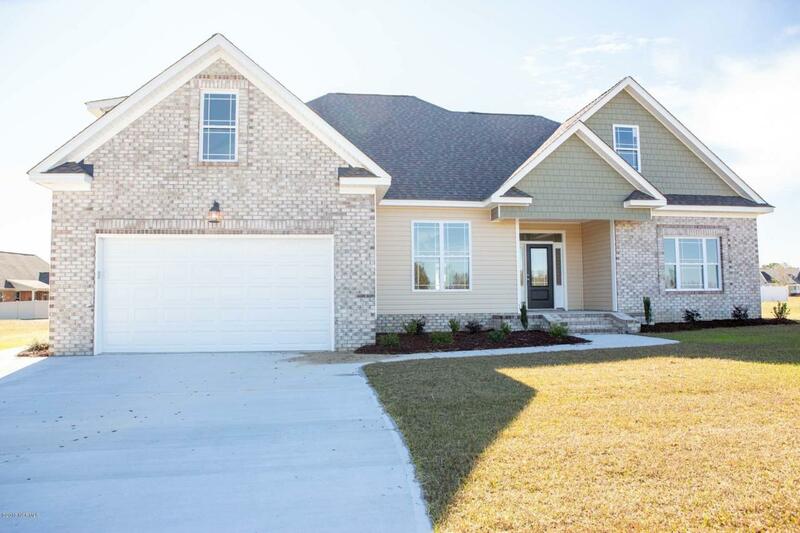 Featuring 3 bedrooms, 2 bathrooms, double car garage, large bonus room and extra large walk in attic. Open kitchen with SS appliances, large granite bar and eat-in area, plus a formal dining room all open to the living room with vaulted ceilings and gas log fireplace. Master boasts double trey inverted lip ceiling, and large walk-in closet. Master bath has granite, double vanity, and walk in shower. Second bathroom with tile flooring and granite counter. Laundry Room off the garage. 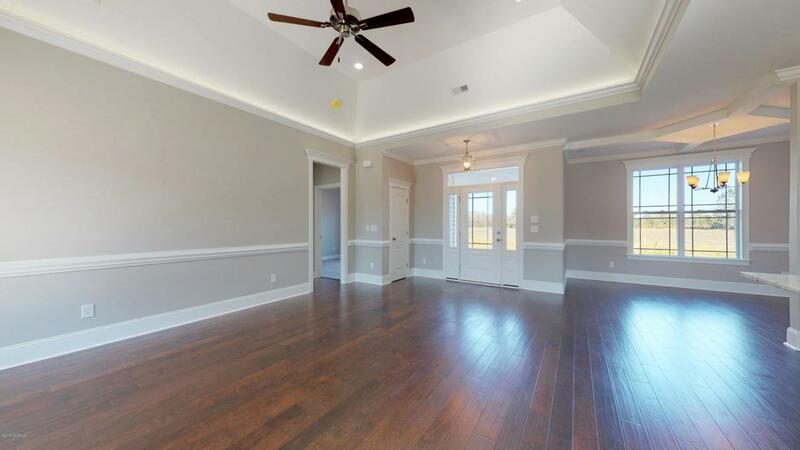 Recess down lighting, 3 1/4'' baseboard and crown molding throughout. 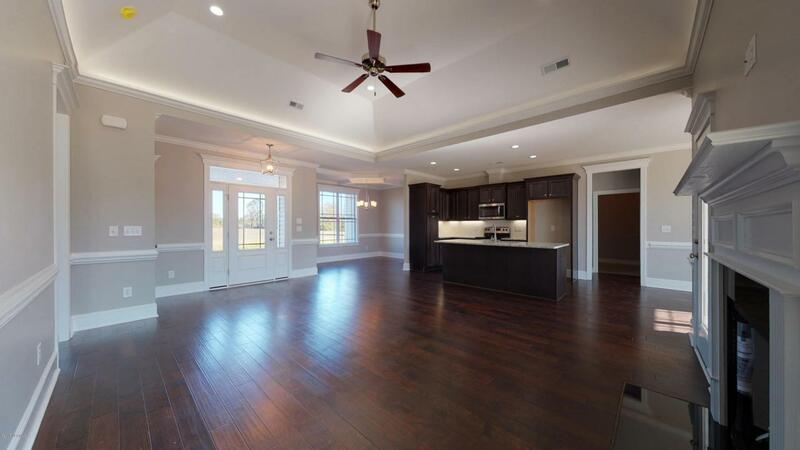 9' ceilings, and a covered patio with ceiling fan.